On Wednesday I took a walk to visit the local Baptist Home. As is my custom, I brought my camera along with me. 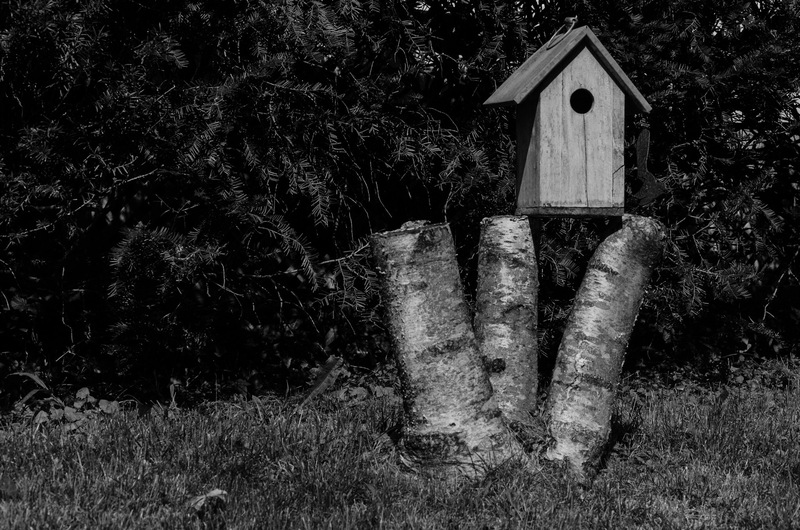 On the way back I came across this birdhouse atop the stump of a rather interesting felled tree. The triple trunk almost makes it look as though it was an inverted tripod 1. While the stump had good color, I decided to process the photo in black and white. I dramatic contrast.